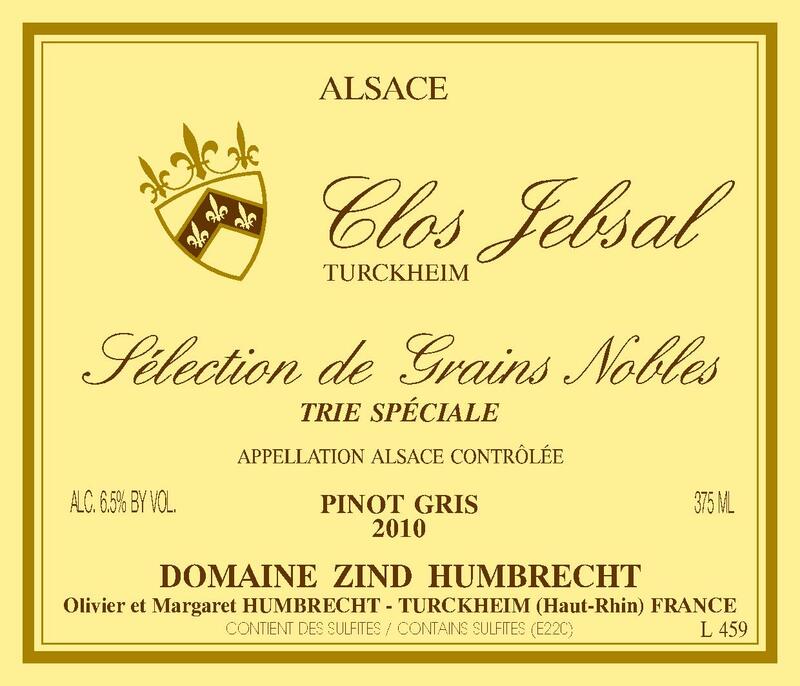 The Jebsal is a very small vineyard (1.3ha) located in the warmest and most protected vineyard area in Turckheim. It enjoys a precocious climate which is in contradiction with the cold, deep rich marl and gypsum soil. This contrast probably provokes important noble rot development every single year. The gypsum marl soil also allows the grapes to keep good acidity balance and provides interesting minerals. When the weather forecast is favourable and, of course, the structure of the grapes is good (high acidity), we can decide to select the noble rot affected grapes more severely. The result is a wine that reaches very high levels of concentration. When it is above 30% potential (or above 200° Oechslés), we just call them ‘Trie Spéciale’. Osmotic pressure must be severe with the yeasts at that level of ripeness. They struggle to ferment and have a short life, so the fermentation stops early (4 to 6% alcohol), keeping a lot of residual sweetness in the wine. These wines are not meant for early drinking but one must see them as ‘liquid gold’ capable to age centuries.